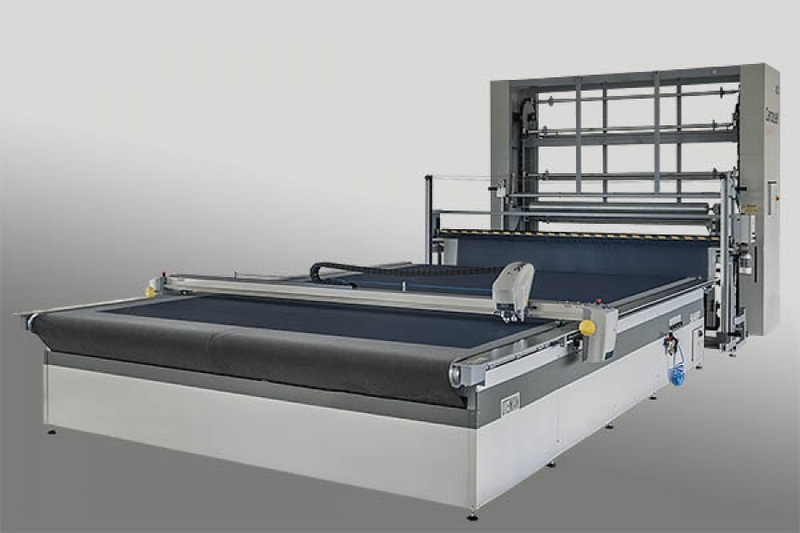 This optimal automatic cutting solution with sta­tic or conveyor table, is per­fect for industrial fabrics cut­ting in the de­sign and high production pro­cess, eli­mi­na­ting the need for dies. The Conveyor version offers superior accuracy and speed at a competitive price. A wide variety of accessories and sizes are available to make your cutting process the most efficient possible! Vacuum sys­tem to ob­tain ex­ce­llent cut­ting qua­lity. Wide range of tools avai­la­ble to cut, punch, mark and plot. Real ­ti­me cut­ting pro­cess vi­sua­li­za­tion. Fully integrated automatic carousel and motorized unwind provides a complete automated solution.